Ready Steady Move! The Educational Franchise That Gives Russian Parents What They Want Most! New in Russia - youngsters become receptive to learning a new language naturally while developing physical skills and building self-esteem through cooperative group activities. All Helen Doron learning activities are fun, stimulating and perfectly age-appropriate. Many parents in Russia today have a clear idea of what supplementary education they want to offer their children, and extra-curricular learning programs are taking the cities by storm. In fact three qualities Russian parents say they prize most are multilingualism, sport and honor. It just so happens that the Ready-Steady-Move! 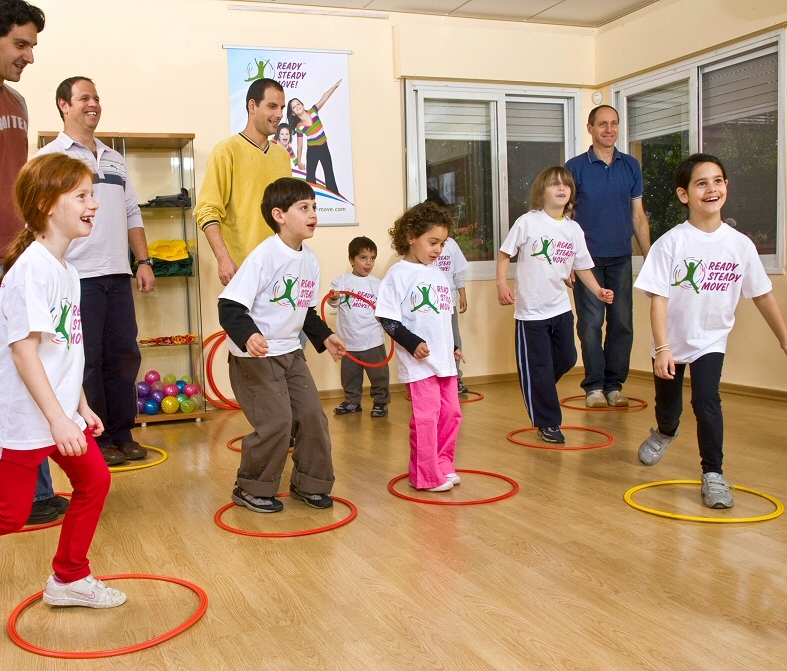 movement with language programme, developed by the Helen Doron Educational Group, helps children ages 3 to 8 develop all three. The Helen Doron Educational Group is no stranger to Russia, having penetrated the market in 2004. Today Helen Doron Early English has Learning Centres in both the St. Petersburg and Moscow areas and is rapidly growing in popularity. So much so, that when word about a new Helen Doron learning programme reached Ekaterina Gildebrand, an English teacher from the region of Volgograd, she decided to become the first Russian franchise for Ready-Steady-Move! Although English language is her vocation, Ekaterina is a big sports enthusiast, and an accomplished mountain climber and instructor. Ekaterina joins a long list of Helen Doron Educational Group franchisees operating in over 30 countries worldwide. The Volgograd franchise will feature Ready-Steady-Move!, which is a unique movement program that introduces children to a second language: at the present offering English, German, Spanish, Mandarin or Hebrew. This programme has become a hit on Israeli television, run as ‘Ready-Steady-Hop’, and based on the same music, fun and innovative physical activities that the Ready-Steady-Move! classes offer - such as yoga for children. Ready-Steady-Move! gives children so much more that ordinary exercise classes in school. Ready Steady Move is an innovative movement with language program for children ages 3 to 8, that helps youngsters build healthy bodies and increase their capacity to absorb a new language. 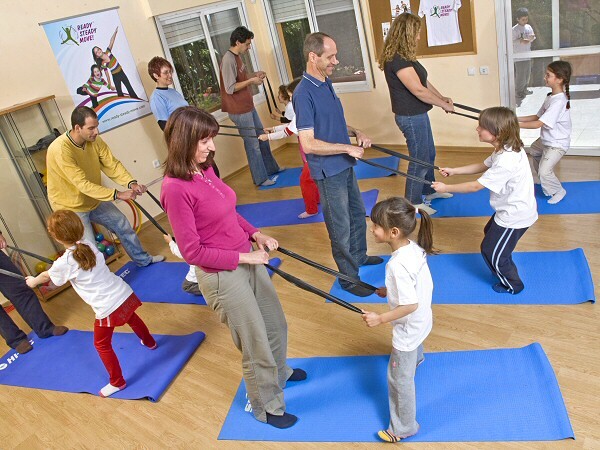 Fun, musical activities and movement based in yoga, Pilates, dance, martial arts and more, help educate children towards a more active lifestyle. To learn more about it, visit http://www.ready-steady-move.com. The Helen Doron Educational Group stands at the forefront of innovative educational systems since 1985, providing exclusive learning programs and quality educational materials for babies, children and adolescents the world over. Our quality educational programs include Helen Doron Early English and MathRiders for inspired learning in small groups; Polly the Collie, Super-Nature and Ready Steady Move! designed for larger groups (kindergartens and schools). The Helen Doron educational franchise model invites entrepreneurs to join a successful business operation that benefits children the world over. For more information, visit http://www.helendorongroup.com.